I have a sneaking suspicion those would not work very well for a pipe. I am waiting to hear from a few people who have tried them. I don't know who those few people are. Eventually there will be a review somewhere. 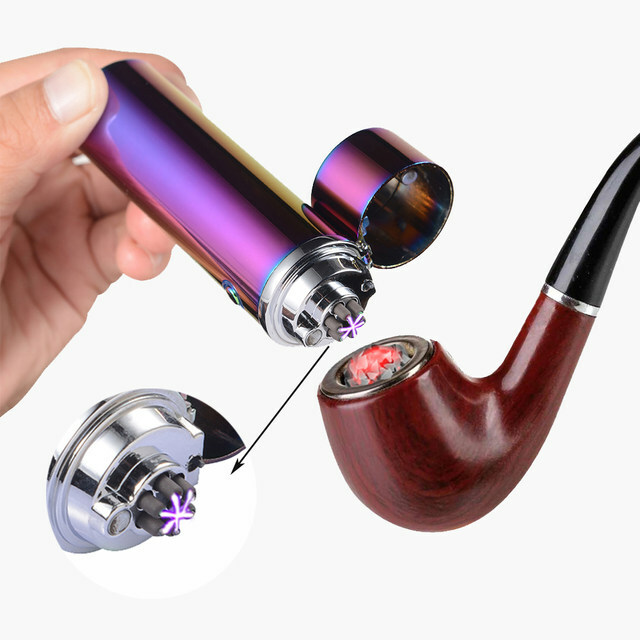 Option 1: "This is the greatest thing for pipe smoking since the introduction of the vulcanite stem. It works great." Option 2: "This is a huge waste of money for a pipe smoker. You can't actually get your pipe lit with it, and as soon as I figure out where the inventor lives, I am going to epoxy mine to a brick and throw it through his window." Option 2 seems more likely...lol. Found a review, lights a full bowl ok, half not at all, I'll stick with my 1cent matches. That is enough for me to hang onto my money. Yeah, just looking at the plasma arc I figured this wasn't designed well for pipe lighting, more specifically, pipe relighting. And when he held up the second pipe with a half filled bowl (half bowls are often used for breaking in new pipes) I called the 'fail' immediately. I still watched the entire video with an open mind, especially after he said he could draw the arc into the tobacco apparently by puffing. As predicted, it didn't do well. That being said, this nifty looking rechargeable fire starting device could prove an excellent "off grid" tool. It probably wouldn't pull much power from a small solar system to recharge, thought, the true value of it for off grid living would be determined by how long that charge actually lasted. Ok.. I will stop horsing around now..